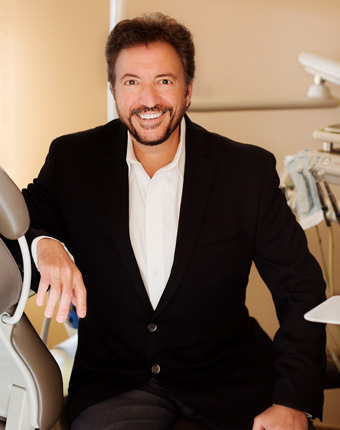 Read about cosmetic dentist Dr. Alan Grodin, who has over 30 years’ experience improving the smiles of countless people. Beautify your smile with a smile makeover using dental veneers, composite bonding, tooth implants and teeth whitening. Fix chipped, cracked or discolored teeth with our porcelain veneers, which help you achieve a straight, bright smile. 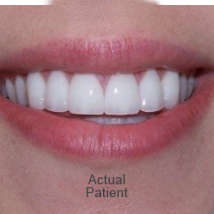 View a sampling of the before-and-after photos of patients who have achieved their dream smile under Dr. Grodin’s care. We have developed this web site to allow you to get to know our Detroit cosmetic dentistry practice a bit better, as well as make all of our information available to you 24 hours a day. If you require immediate attention, please give us a call at (248) 288-1110. We are very pleased that you have taken the time to visit us here. Please take a few minutes to check out the different areas of the site. You can easily learn about Dr. Grodin and his staff and how our Michigan cosmetic dentistry office was chosen as the “Office of the Month” in the January 2004 issue of Dental Economicsmagazine, a national dental publication which reaches over 100,000 dentists in North America. 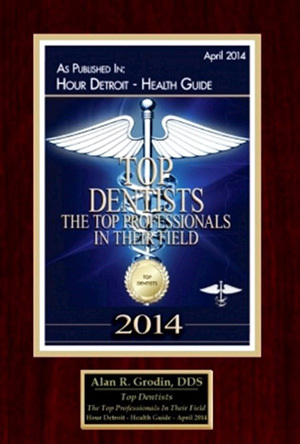 This award is bestowed upon only 10 cosmetic dentistry offices around the world each year. We are extremely proud of this honor. The cover of the magazine is pictured here. 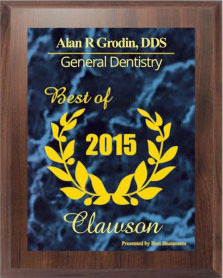 Dr. Grodin’s cosmetic dentistry patients come from near and far. Some travel many miles to enhance their smiles. 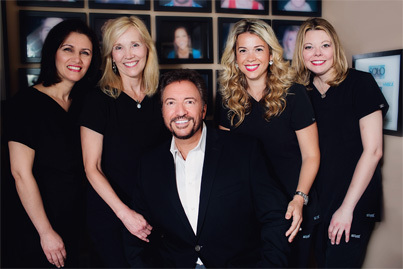 Although we are located in Michigan, we’ve had patients fly from around the world to obtain the expertise of Dr. Grodin and his cosmetic dentistry Michigan staff. Rest assured when you walk in the door at Flossin in Clawson, quality and experience is not only apparent but it’s what will be provided. We provide dentistry to celebrities, professional athletes (including many of the Detroit Tigers baseball team), politicians and people from all walks of life with the utmost in dental care and cosmetics. Check out the Testimonials page on the site to see what actual patients have to say about our practice. 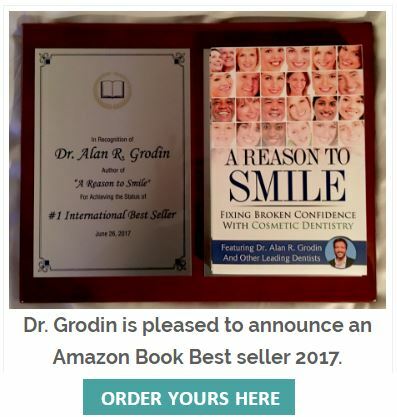 Dr. Grodin is a highly experienced and talented cosmetic dentist in Michigan; people from around the country come to see him to enhance the appearance and function of their teeth. Through procedures such as teeth whitening, smile makeovers and porcelain veneers he has achieved lifelong dreams for his patients. He is very well known and respected in his field, especially when it comes to his experience and expertise with porcelain veneers. 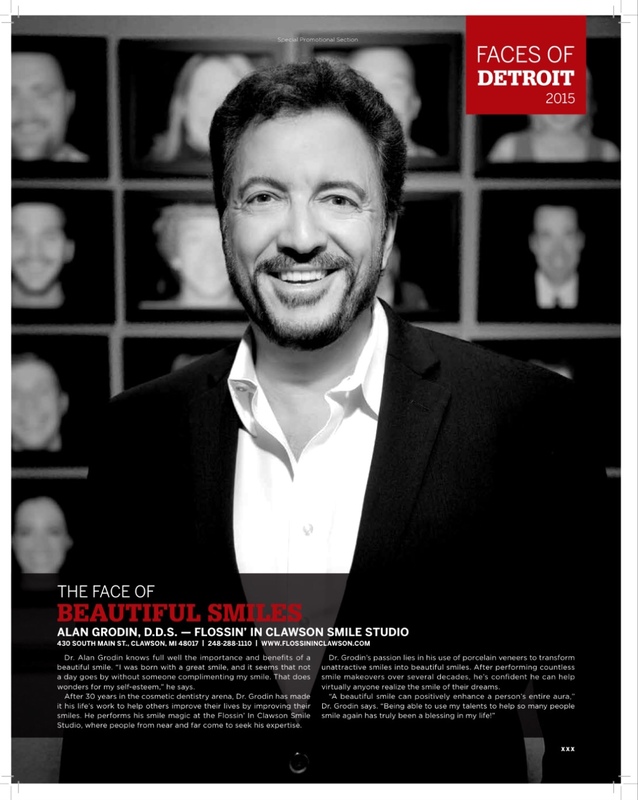 As a result of the excellent reputation he has earned as a leading Detroit porcelain veneer dentist, he has done national interviews on the subject of veneers and has been a contributing editor of Dental Economics magazine. He has lectured to dentists around the country about veneers and has been the subject of numerous articles in magazines and newspapers. 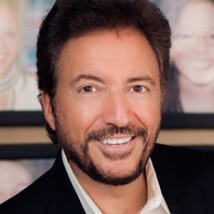 He offers a one day seminar at his office in which dentists from around the country travel to Michigan to learn his techniques with veneers. Explore our media page to see some of the press that Dr. Grodin has received, then visit our Smile Gallery to see great before and after photos of some cases.